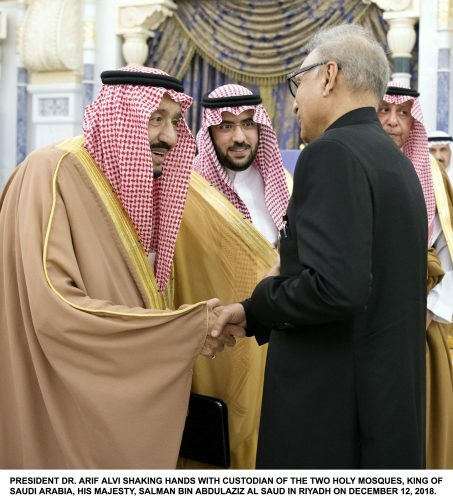 MAKKAH (92 News) – President Dr Arif Alvi performed Umrah and offered ‘Nawafil’ on Wednesday. The door of Khana Ka’aba was specially opened on the occasion. He prayed for unity, progress and prosperity of Pakistan and Muslim Ummah. 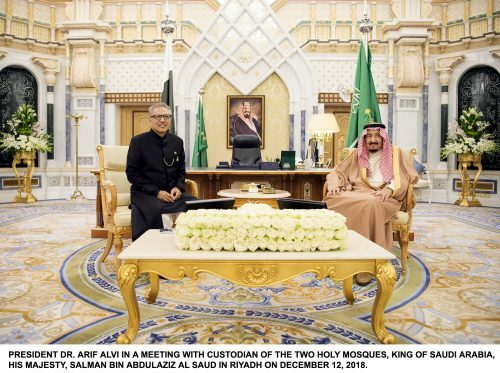 The President also held a meeting with King Shah Salman in Riyadh. They discussed matters of mutual interest. His wife Samina Alvi and delegation members accompanied him.